I have a confession to make: the cover of this book totally made me want to read it. I'm normally not a book cover whore, but when I was at Lori Fosters Reader/Author Get Together this past summer and saw the cover I knew I had to have the book. I'm not sure why, but I was really surprised at how this was not your typical teen insta love kind of book. I liked how strong & independent Cara was. I also really liked how believable the plot was-people got scared and did stupid things. However, that didn't stop Cara for standing up for what she thought was right or by being hurt from it. I liked how miserable Aelyx was throughout the whole book because everything was so new & foreign to him. He didn't want to be apart of the program, but did it because he was asked to-the same as with Cara. 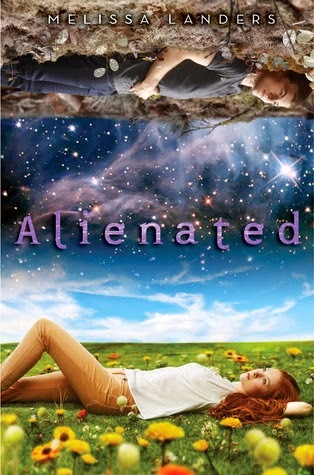 Alienated was just a refreshing read, and while it is full of teen angst, it was well done and is one of those YA books that can enjoyable for every age group. I'm just really glad I took a chance on this book. I can't wait until the second book in the series comes out!